Samsung’s new flagship smartphone, the Galaxy S III, may have launched across Europe and the Middle East this morning but the company has been forced to issue a statement warning customers that deliveries of its blue variant could face a 2-3 week delay. 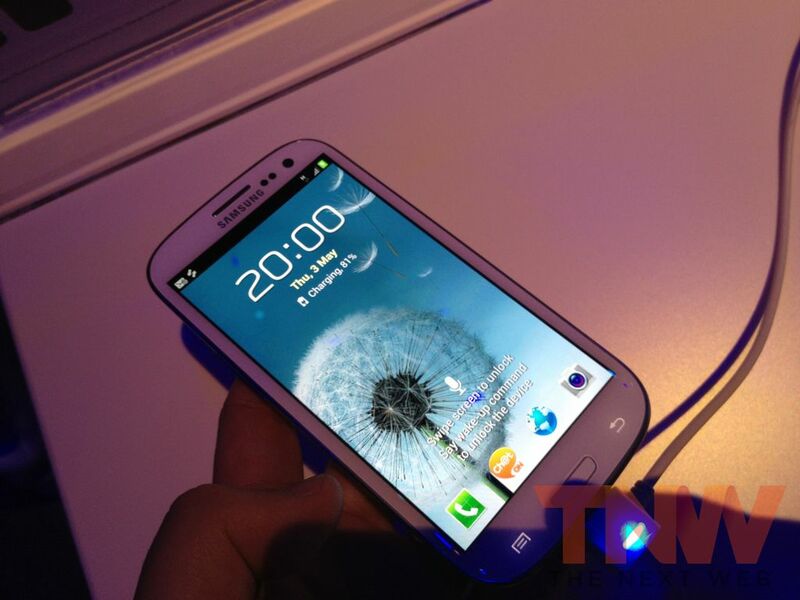 “Samsung’s Galaxy SIII Pebble Blue version comes with a newly invented blue colour and special hyper-glaze material. In order to meet the highest internal quality standards and to provide the best quality Galaxy SIII to customers, a short supply of Pebble Blue version is expected in some regions in the next 2-3 weeks. So if you pre-ordered a blue Galaxy S III, it may take between two to three weeks until it is delivered. However, deliveries of the white model (with its ceramic finish) have not been affected. If you’re reading this and thinking that you may have read something similar before, the same issue affected Apple and its release of the white iPhone 4. Colour discrepancies between the handset body and the home button were behind the iPhone delay and Apple, adhering to its high quality levels, did not begin selling the device until the colour issues were eliminated. It appears Samsung is in the same position, unintentionally emulating its rival yet again.